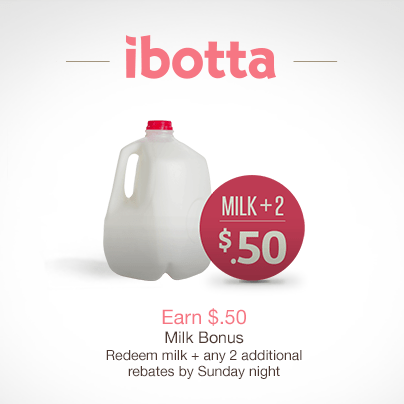 Don’t forget the Milk Bonus Expires for Ibotta Today!! $1.62 at Walgreens. Get a bonus of 50 cents when you redeem two more offers. Milk is going up in price come march so , be sure to take advantage of this Deal. This entry was posted in Home, Walgreens.